You’ve heard the phrase “All roads lead to Rome” and indeed in the days of the Roman Empire the notoriously straight Roman roads all led to (or fanned out from depending on your perspective) the Miliarium Aureum, or golden milestone, in the centre of the city, and all distances in the Empire were measured relative to that point. 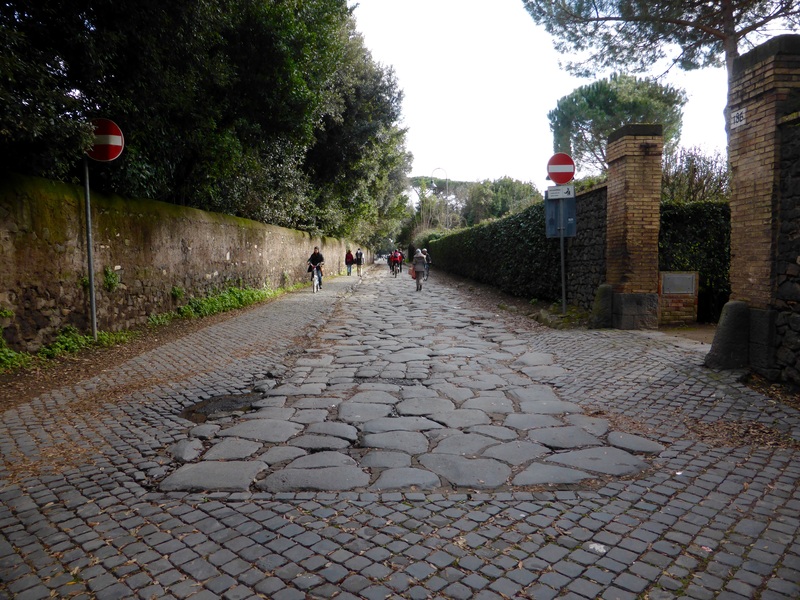 One of these Roman roads, the Appian Way, is relatively well preserved as the area around it has been declared a national park. We decided to explore it one sunny Sunday. 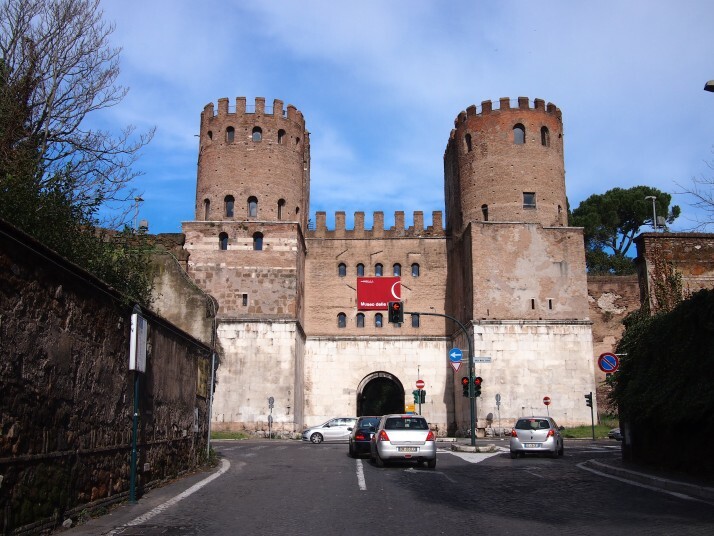 We started at the point where the Appian Way crosses the Aurelian walls, the Porta San Sebastiano, which has now been turned into a small museum telling the history of Rome’s city walls. The Aurelian walls were the second set of encircling walls to be built around Rome, they were constructed in the 3rd century AD to protect the expanding city and extended for 19km (12 miles). We’ve seen quite a lot of sections in various places around the modern city so it was interesting to find out how they were used for defence and how the gates changed over time, for example, to accommodate new war machinery. 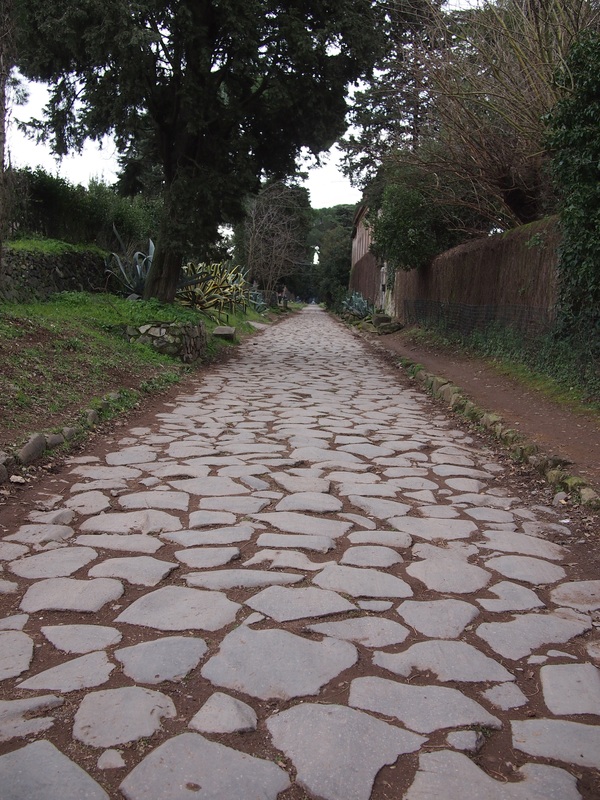 Construction of the first part of the Appian Way began in 312BC and eventually its course ran as far as Brindisi in south-eastern Italy, the heel of the boot. 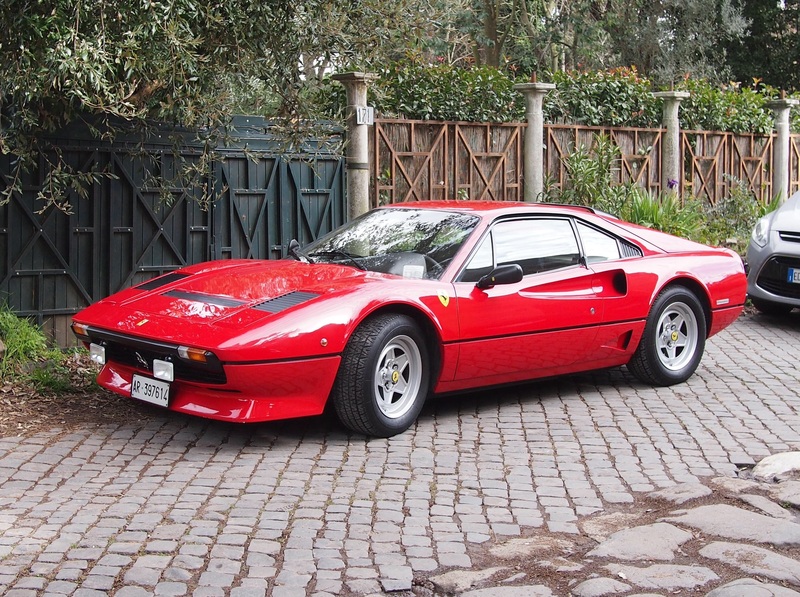 Its name comes from the man who ordered its construction, Appius Claudius Caecus, a Roman censor and its initial purpose was to enable fast supply to the Roman army in a war with the Samnites in south-central Italy – an aim which was successful as the Romans won the war. We’d chosen to visit on a Sunday as we’d read that all but local traffic was banned on that day. If that’s the case, we’re glad we weren’t there on a normal day as a steady stream of cars seemed to be flying past, rattling noisily over the paved lane. The first monument that we had hoped to visit was the Church of San Sebastiano but, as we arrived, mass was just beginning and we didn’t really want to join in so we sat in the nearby car park to eat our lunch. 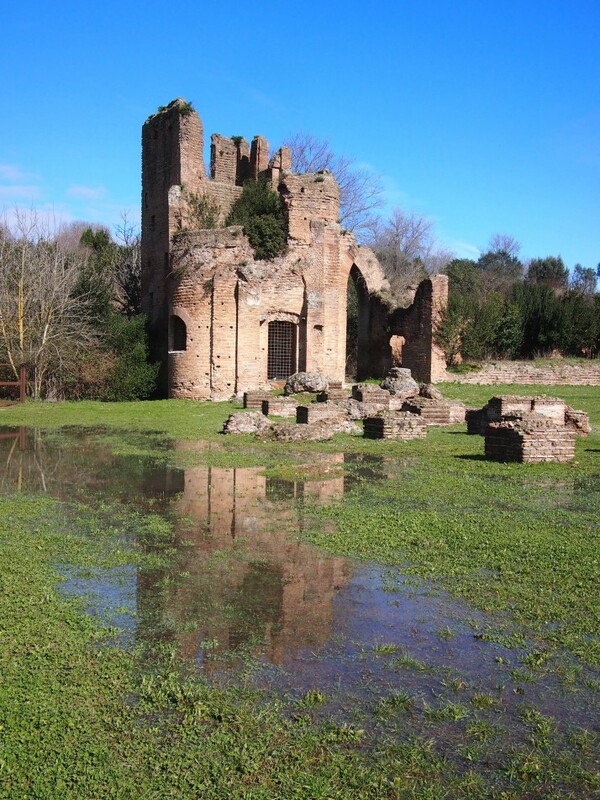 A little further along we came to the Maxentius complex. 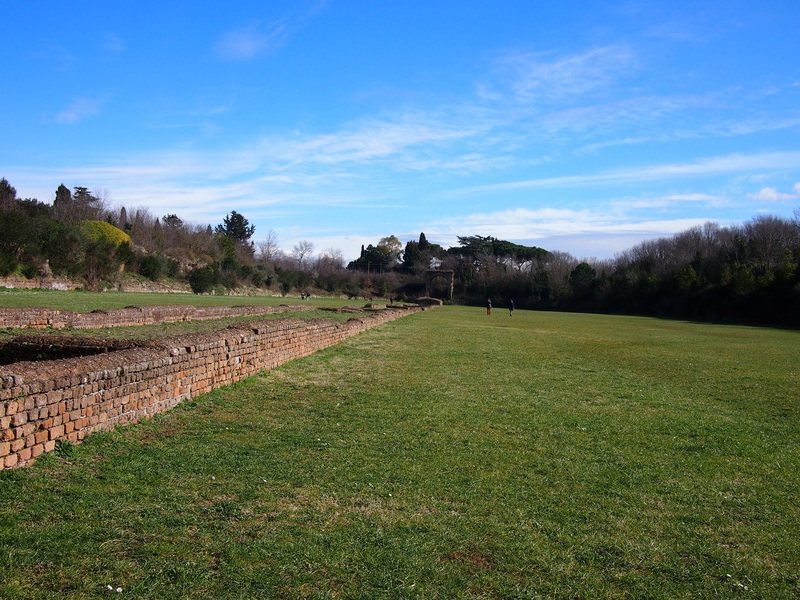 A large area containing the ruins of three buildings built by Emperor Maxentius; his palace, a large mausoleum which was built for his son and the remains of a circus or chariot racing track. We learnt in Pompeii that Roman law dictated tombs should be outside the city walls and there are plenty of remnants beside the Appian Way. One of the most complete is the Tomb of Cecilia Metella. It’s a huge cylindrical building dating to the first century BC and looks more like a castle than a grave. Actually the battlements were added in the 14th century when a fortified building was built behind the tomb. The Romans built a high-quality road, with layers of cemented stone over a layer of small stones, cambered, drainage ditches on either side, low retaining walls on sunken portions, and dirt pathways for sidewalks. 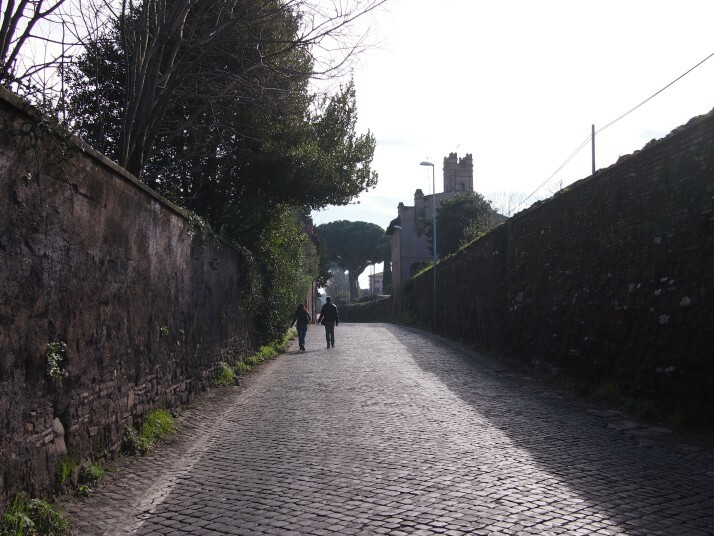 The Via Appia is believed to have been the first Roman road to feature the use of lime cement. The materials were volcanic rock. The surface was said to have been so smooth that you could not distinguish the joints. Nowadays the cement has eroded out of the joints leaving a very uneven surface to walk on. After this section the traffic got much lighter and it really felt like we were walking in the countryside, passing goats eating without pause and listening to birdsong. There were far more sections of the original surface here too. We continued for another couple of kilometres before retracing our steps but the final section was definitely the most pleasant to stroll. This was how I had thought the whole walk would be, a feeling of peace and quiet surrounded by fields and scattered archaeological remains. 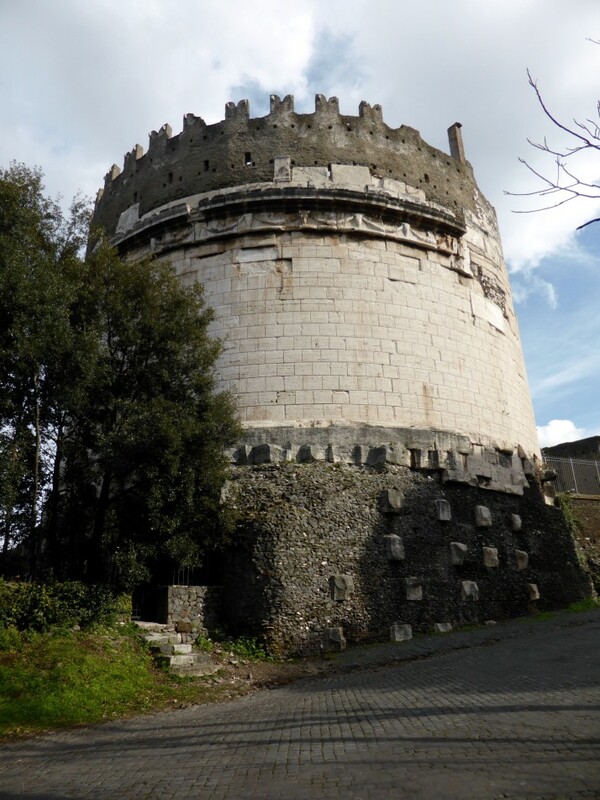 This entry was posted in Places and tagged city walls, Italy, Museum, Rome, Walk on February 21, 2015 by Julie. 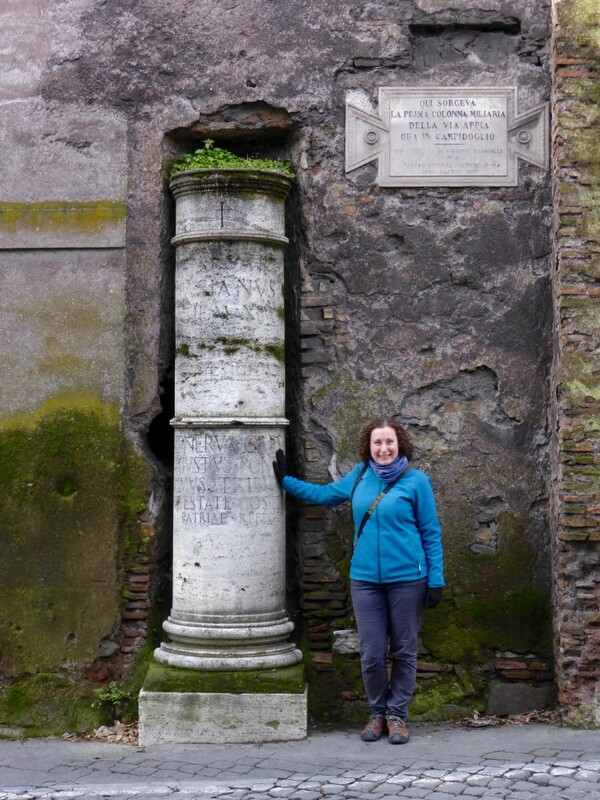 Hi, I’ve done the appian way thru the main monuments, catacombs, tomb of cecilia metalla, etc. I’ve had life long desire to walk the appian way much further — or maybe rent a bike. Can you suggest how far would be a worthwhile walk/ride beyond the main monuments? Thanks for your comment. Unfortunately I can’t offer you any advice as we also have only explored the initial section and main monuments. Thanks anyway. I expect I’ll take bus to last stop and then walk a couple miles and back. What is 35 + 18 ?